An editor contacted the Rogue Women Writer crew and asked some interesting questions. One asked about the most surprising thing we ever learned while researching. Now, I'm a research junkie, and it seems that something that I learn surprises me every other day. Some examples: that there is no clinical research supporting routine, prophylactic removal of wisdom teeth. Yes, that ritual of young adulthood is not supported by research --as of yet. Also, leaving them in will not push your other teeth out of alignment. This last reason was why I had mine removed. After five years of braces I was taking no chances! But, now it appears as though it was a moot operation. I found out that all of my brothers still have theirs (none had braces). Ah well, live and learn. Another myth involves the appendix. An inflamed appendix need not be removed in many cases. It can be treated with antibiotics. Who knew? Not me. I assumed that there was no treatment other than to yank it out. And another myth that perhaps I alone believed involves Leprosy. I had no idea it still existed and could be contracted in present day until I started researching for my third book, THE NINTH DAY. But, yes, it still exists and is entirely treatable with modern antibiotics. Also, the way one can be infected is a bit...unusual. To find out what I mean-if I say it here it's a spoiler-read the book, but I was fascinated by this research when I found it. 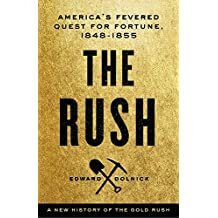 And now I'm researching the Gold Rush era and the myths are exploding. I'm reading a lot of source material, journals and diaries written by those that rushed west- they called themselves Argonauts- and I'm seeing that this was a literate and interesting group of people. The diaries are fascinating, interesting, and in some cases quite funny and entertaining. 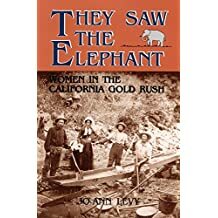 Two of my favorite books are THEY SAW THE ELEPHANT: Women In The California Gold Rush, by Joann Levy and THE RUSH: America's Quest for Fortune 1848-1853, by Edward Dolnick. Both of these books give you a real sense of the trial and tribulations of those that picked up and headed west. The stories are compelling and the hardships they faced, both in their journeys there and then once they arrived, read like thrillers. I highly recommend both of these books if you're interested in the era. From Jennie Megquier, who took the trek through the Panamanian jungle (the Panama canal was not yet built) and speaks delightedly of the birds and wildlife-even the parasites clinging to her toes, to Israel Lord and Luzena Wilson, that took the overland routes and nearly died in the process, the stories are compelling. If my upcoming manuscript can come close to doing justice to these diaries, I will be pleased! And I'll try to dispel some myths along the way. Got any myths that you can dispel? Do tell! You are so right, Jamie, when you say that "myths" are overturned quite frequently when new research surfaces. I read just yesterday that the old adage we heard from our mothers, "You must wait 30-60 minutes after eating before you go swimming." No, you don't have to wait any more. And on an even "lighter note," I am happy to say that recent research has shown the "beneficial effects" of both caffeine and chocolate! (Well, in moderation anyway). 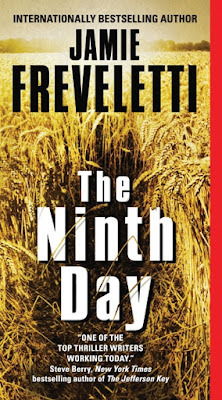 Now I can't wait to read THE NINTH DAY. Thanks for a thought-provoking post! I was also surprised about antibiotics and the appendix. (And recall vividly when my oldest daughter had appendicitis and the night we spent in the hospital after her midnight surgery. I wonder how soon those antibiotics would need to be administered? She'd been in pain all that day, calling me at work that morning while sitting in her girlfriend's car at school, asking for permission to come home. First question out of my mouth: Do you have a test that day? Cue the maternal guilt, since I was wondering if she was trying to get out school work. She assured me no, her friend drove her home, and I took my time getting home, since it seemed like it wasn't an emergency. The doctor's office assured me that a stomach bug was going around, and that it would take a couple of days to clear her system. Her response was that she'd die if she had to live with that sort of pain any longer. In we went. Took the doc about 10 seconds to diagnose her. Unfortunately, no one would do anything without a cat scan and our insurance co. was in a dispute with the local hospital, so we had to drive to the big city. That insured hospital couldn't get her in until 4:30 PM., and then the resulting admission and delay led to a midnight appendectomy. I'd forgotten how frustrating that was (especially for my daughter). Don't even get me started on the wisdom teeth! I have a similar story about my son and his emergency operation. Involved me leaving him home while I went out to lunch and he dozed, then when I returned, rushing him to the hospital, where he suffered while the doctor they called in finished his day's appointments. You mean I had my wisdom teeth out for nothing?? Hi Guys: Robin: I think the antibiotics work quickly but don't know about time to administer. And most people that are given the option often ask for the surgery on the fear that the infection will return. Lisa: yeah, the wisdom tooth thing got me too. I clearly remember the pain after, the chipmunk cheeks, you name it! And Karna Chocolate and coffee! The two basic food groups! I only had two wisdom teeth. Did that make me have smart? Having them removed was clearly stupid. And, tell me, in your research, did you ever find out why they call them wisdom teeth? Hi Chris: Nope, never figured out how they got that name!